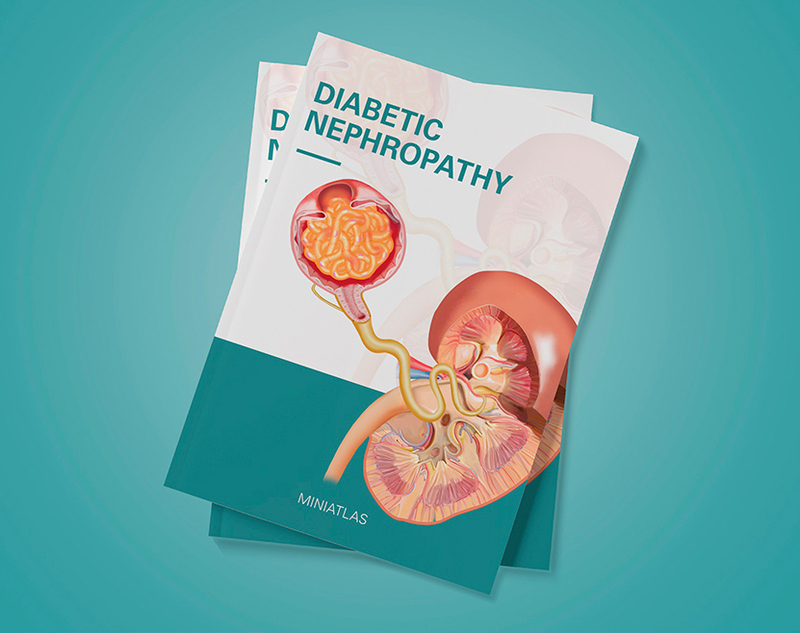 Diabetes represents a significant cause of morbidity and mortality for it leads to renal damage, and diabetic nephropathy is one of the major causes of chronic renal failure. As it happens in other microvascular complications, the pathogenesis of this renal disorder is related with chronic hyperglycemia. 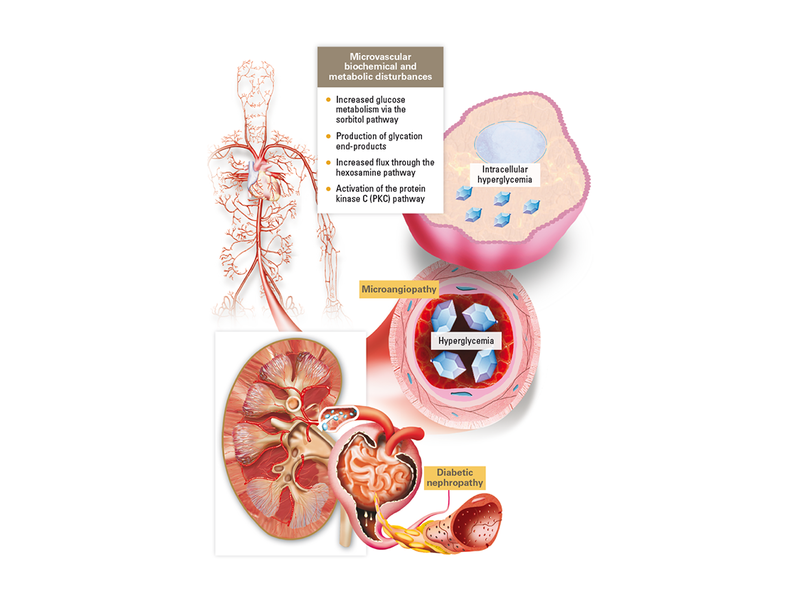 Initially, diabetic nephropathy is manifested with microalbuminuria. 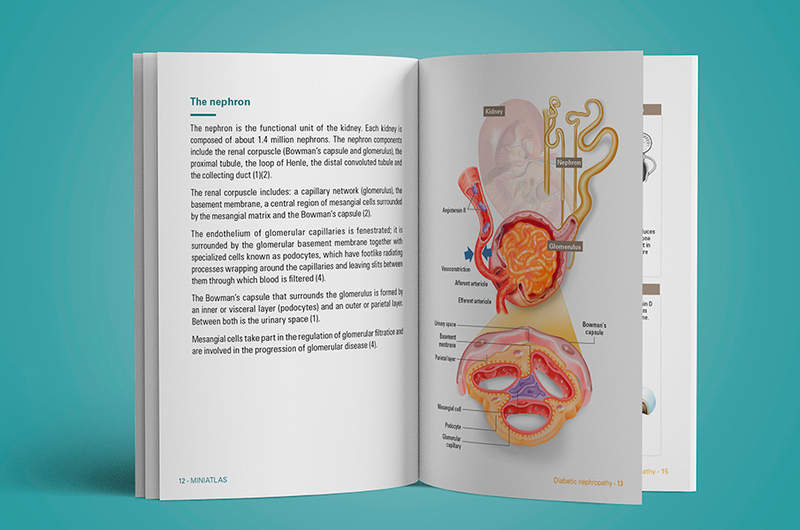 Later on, renal function is progressively impaired until it reaches its terminal stage. In parallel with the progressive renal involvement, hypertension develops. Treatment includes not only glycemic control but also management of hypertension and dyslipidemia, changes in the diet with dietary protein restriction and administration of renin-angiotensin-aldosterone system blockers. Patients with end-stage renal disease are usually candidates for dialysis and renal transplantation. Therefore, strict glycemic control, early diagnosis of kidney disease and adequate treatment and follow-up are crucial measures. 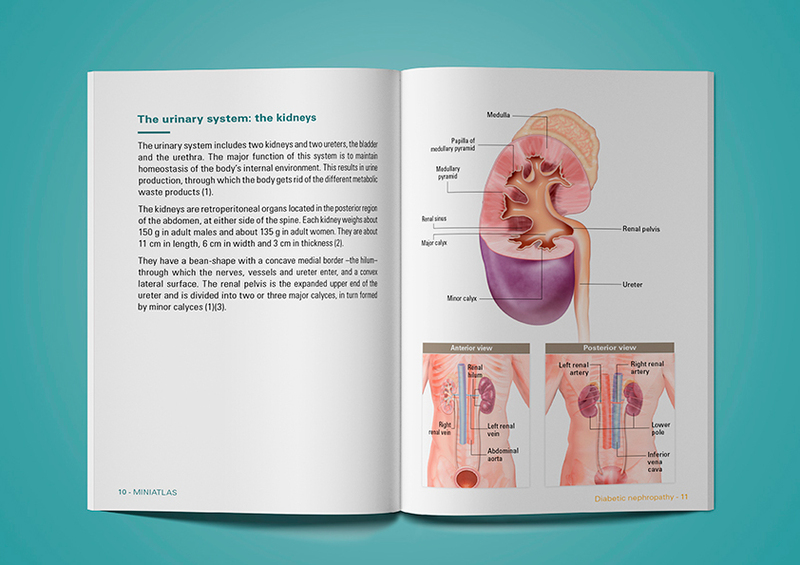 The Diabetic nephropathy miniatlas is part of an extensive collection of illustrated medical atlases (Miniatlas Collection) covering generic specialties to specific diseases, created to facilitate doctor-patient communication.